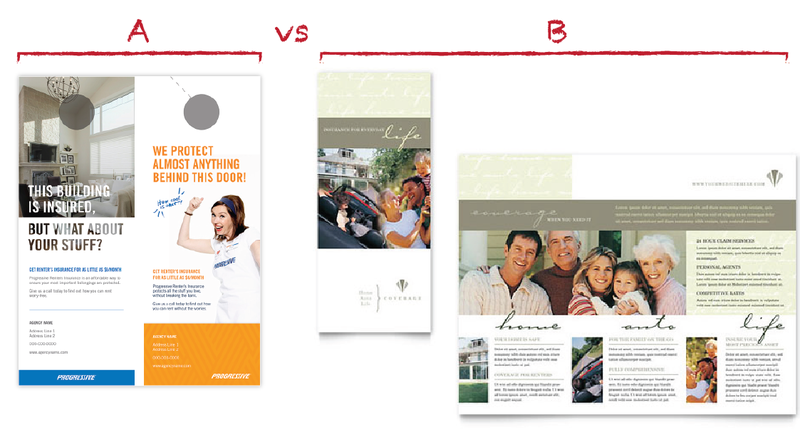 The marketing brochure is one of the oldest tricks in the marketing playbook. While digital strategies are dominating the modern marketing landscape, traditional techniques like the trusty sales brochure aren’t going anywhere. In fact, physical marketing media may be more powerful than ever. One marketing research firm suggests that physical media is more memorable, more persuasive, and more likely to drive behavior than digital media. The best marketing strategies of today integrate the digital with the physical, focusing on flyers, brochures, and posters just as much as websites and social media graphics. 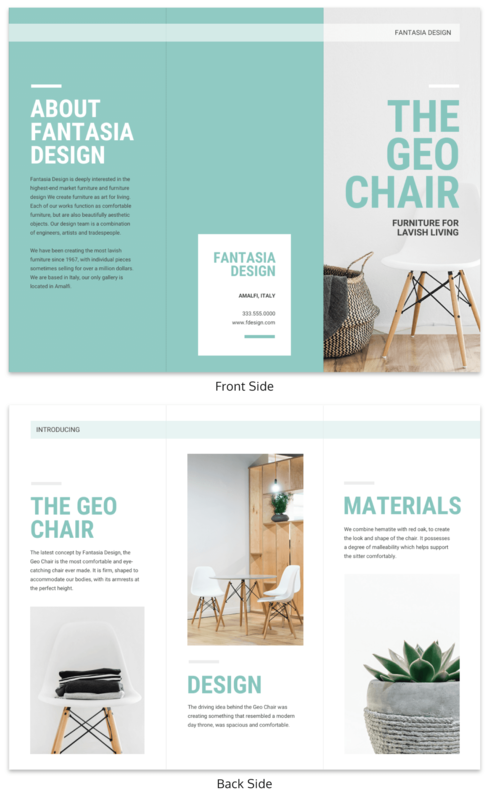 That’s why I’ve put together this easy 5-step marketing brochure design guide to give you the low-down on how to create a marketing brochure from scratch. So your first step in developing a marketing brochure should always be to work out who you’re trying to target. If you think you might want to target more than one customer group, don’t worry! 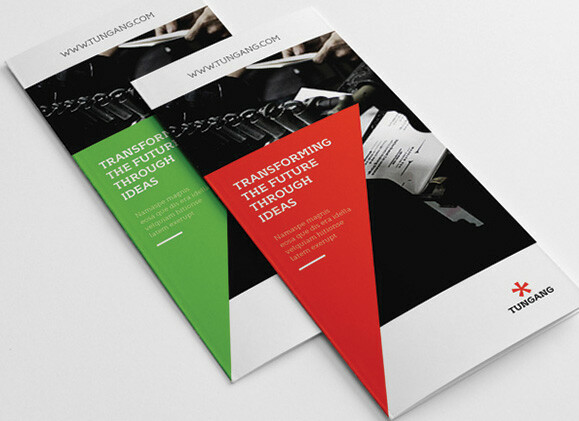 Our brochure templates make it a breeze to repurpose design again and again. Just focus on one target market to start. 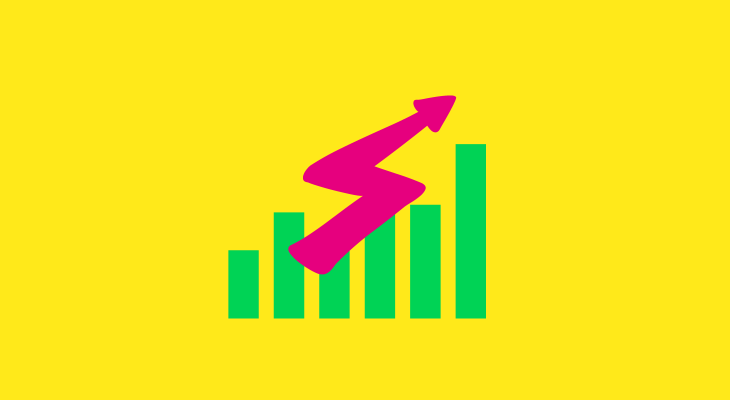 Next, identify a single measurable metric that you want your brochure to boost. 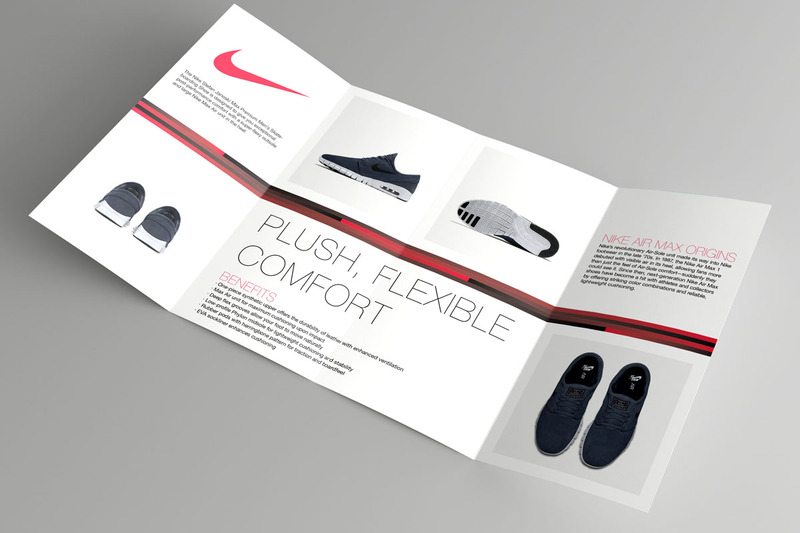 Ideally you should plan to use your brochure to compel potential customers to complete some specific action, like heading to your store or signing up for your email newsletter. You want to book more service consultations. 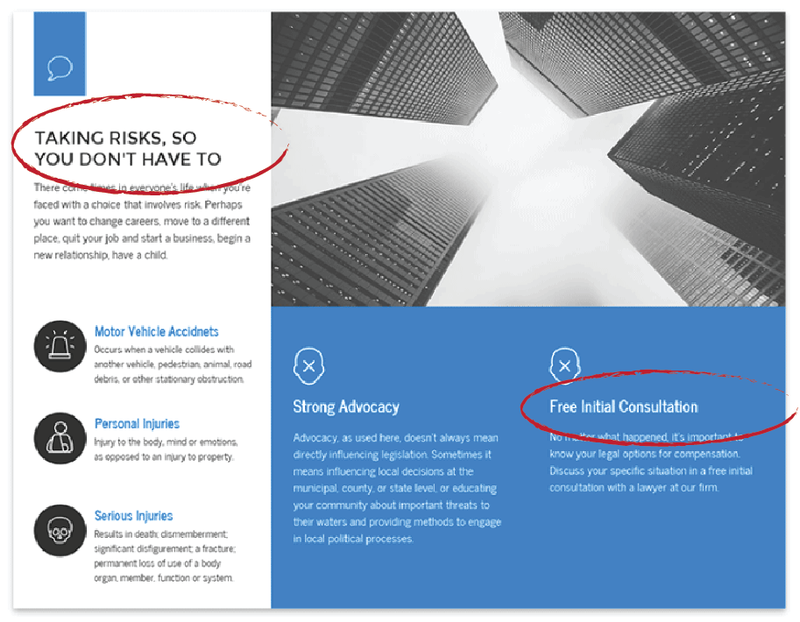 Your brochure should highlight what clients will gain from the consultation and give them the contact information they’d need to book one. You want to push people to visit your booth at an upcoming trade show. 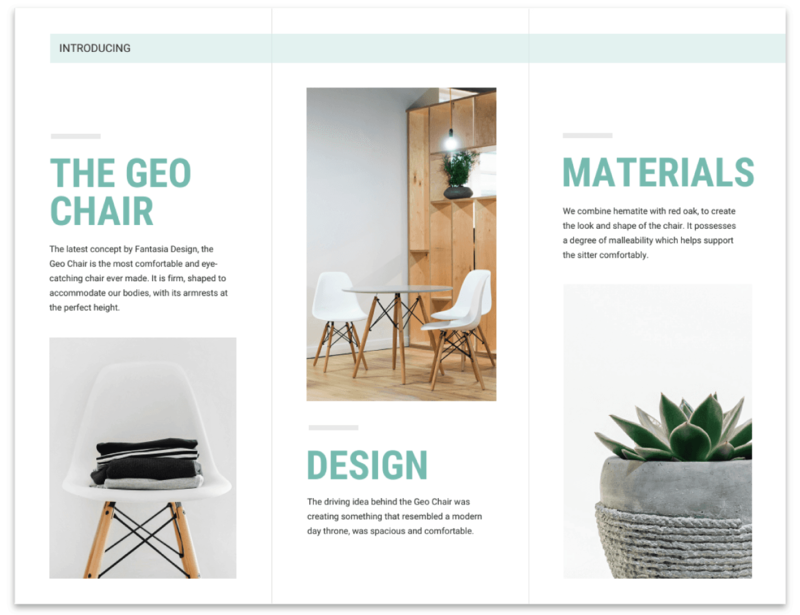 Your brochure might showcase a new product you’ll have on hand at the show, and include a coupon for that product that’s redeemable during that event. You want to drive people to check out your flashy new online store. 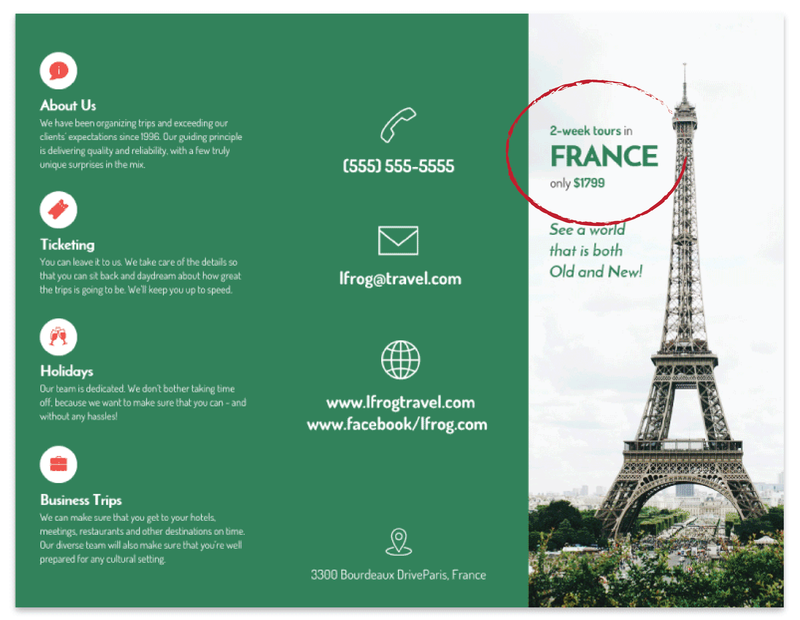 Your brochure might feature a promo-code for first time visitors. 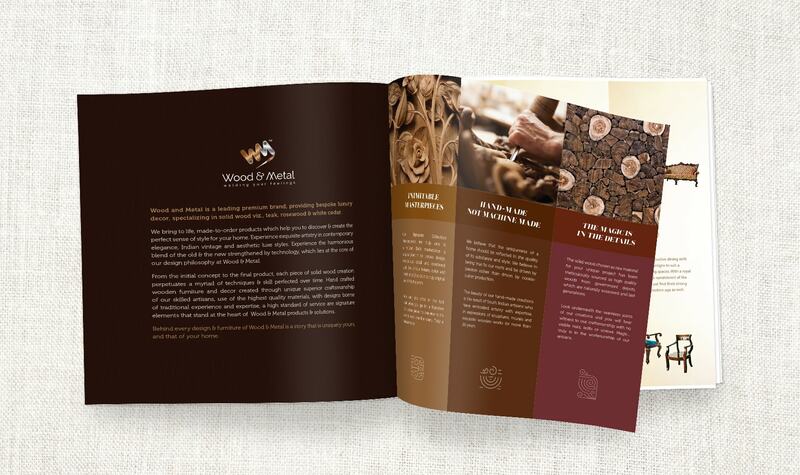 In any case, the key to creating a successful marketing brochure is to have a focus. Focus on the wants and needs of a specific segment of your market, and, if possible, on promoting a single action. Once you have a clear focus mapped out, you’ll need to write some copy. Let’s review some strategies for each section in turn. 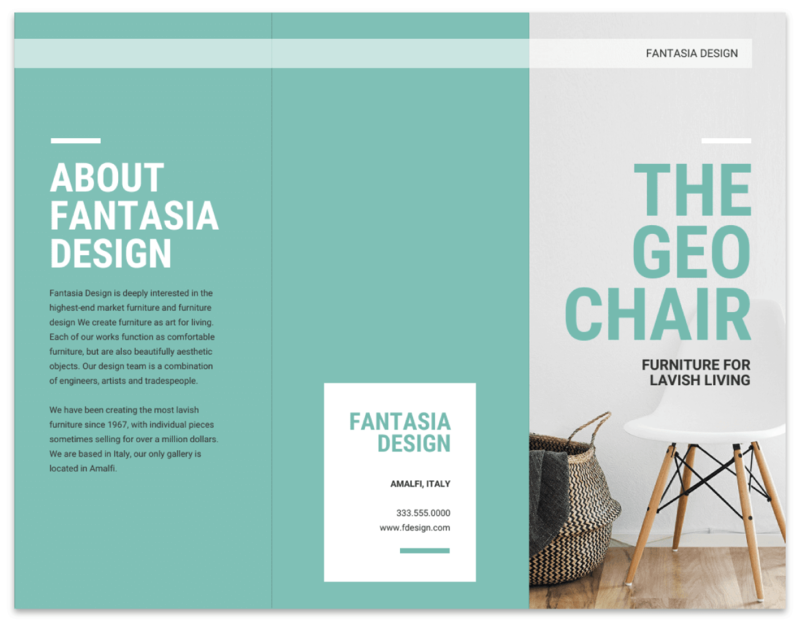 The front page of your brochure needs to grab the attention of your reader. Everything on that page should compel them to turn the page. That’s obviously easier said than done, but here are a few tried-and-true marketing tactics that might work for you. Different approaches will work better for different goals and businesses, so it’s up to you to choose the right one for you. Whichever tactic you choose, keep your copy succinct. Limit yourself to one clear message on that front page, and express that message with as few words as possible. A good rule of thumb? Make sure that front page copy comes in at under 25 words. 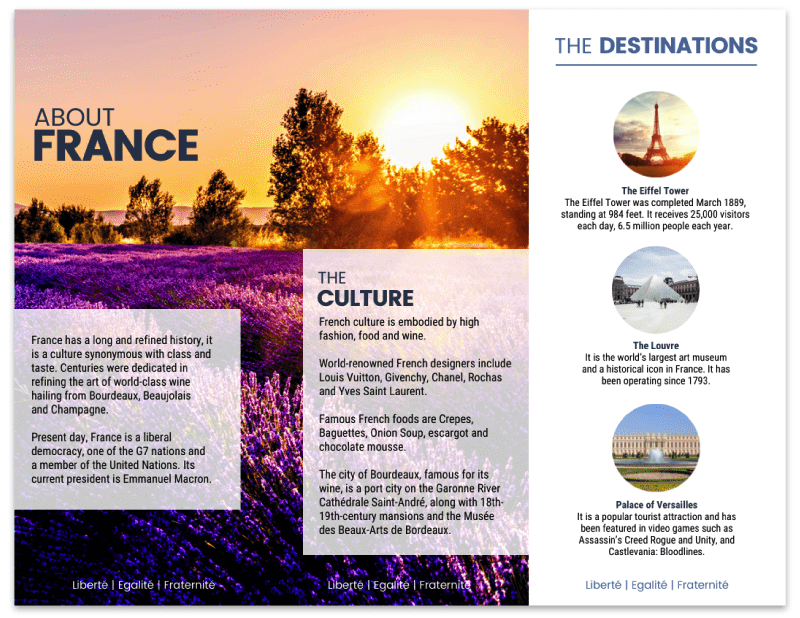 Moving on from the front page, let’s talk about the main brochure contents. Assuming you’ve succeeded in catching your readers’ attention, it’s time to give them what they really want–information about your products or services. 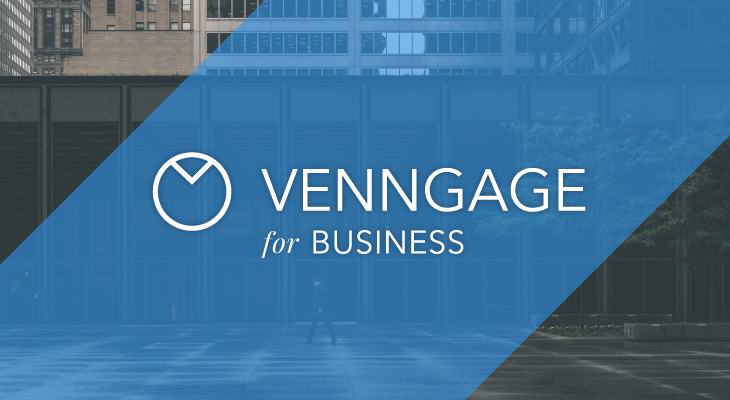 Your headers should clearly and concisely state each business offering or product feature, so that readers can see at a glance what you’re promoting. 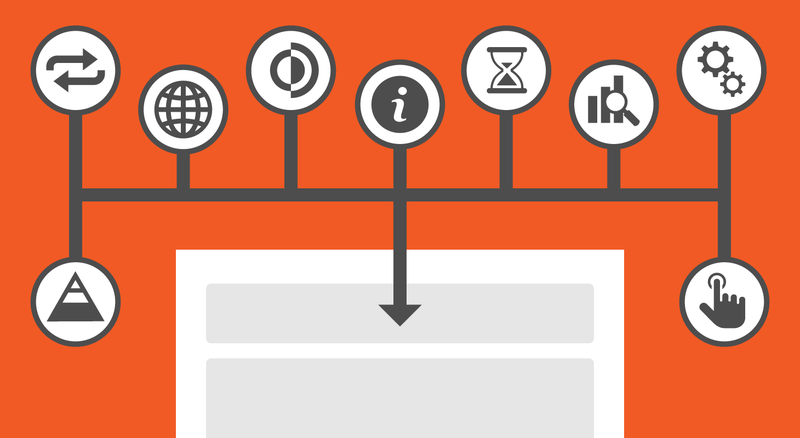 Beneath each header, you’ll want to describe the product or service in more detail. Keep these descriptions as brief and to-the-point as possible. 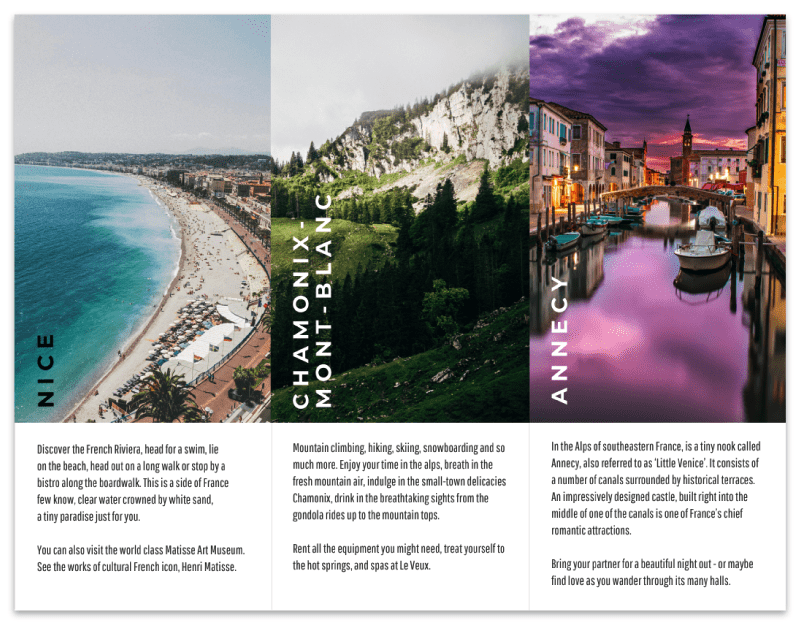 Try to give your readers just enough information to get them interested, and let them use your brochure as a jumping-off point to get to your store or website. If you use full sentences, limit yourself to two or three sentences per section. After you’ve outlined your offerings, make sure you include anything your customer will need to take action, whether it’s an email address to contact you at, directions to your business, or a link to your website. This bit can come last–you’ve done your convincing, now you can count on your reader to flip to the back of the page to find this information on their own. That leaves one final section that needs some content. 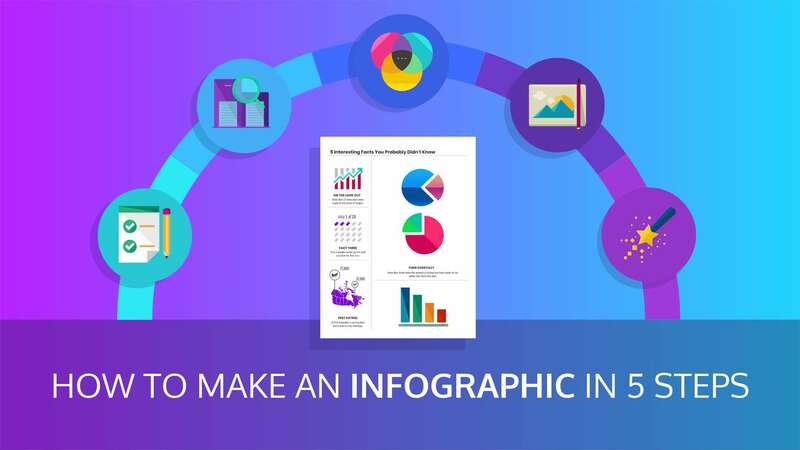 This is a good place to add extra information like pricing, but you can add whatever you like, as long as it includes a descriptive heading and isn’t too much longer than a paragraph. If you have doubts about your copywriting skills, consider an online copywriting service to get your marketing off on the right foot. Outsourcing copywriting can free up your time and let you focus on designing your content. 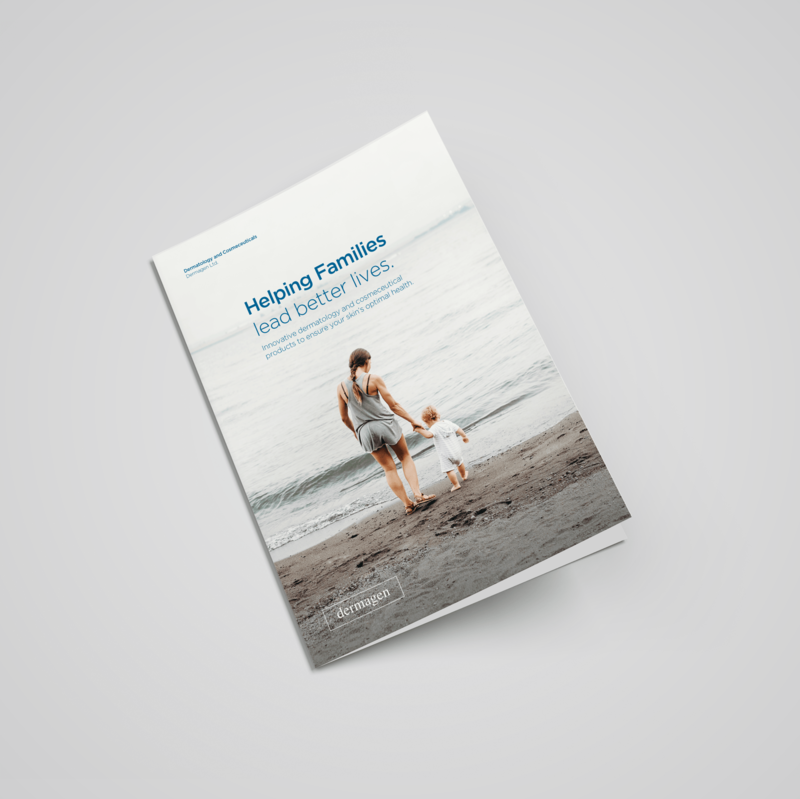 With your copy under control, it’s time to collect images to add visual interest to your brochure design. But we don’t all have a marketing budget that stacks up against Nike’s. If you don’t happen to have your own product shots, it might be tempting to use stock photos, but try your very best to avoid them! 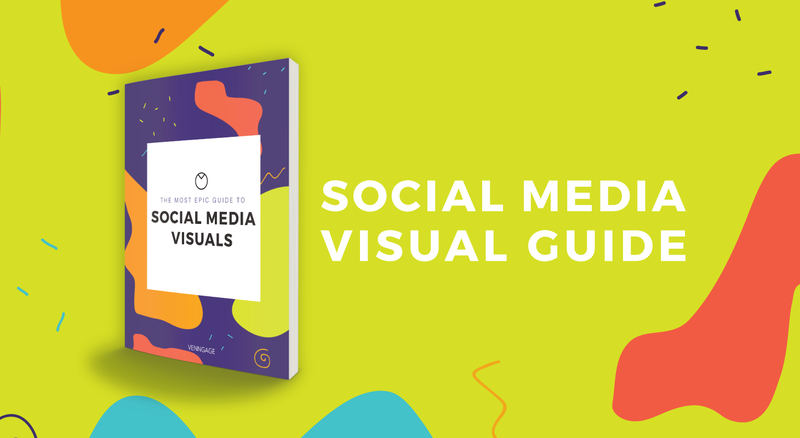 Whether you choose icons, images, or illustrations, consistency is key! 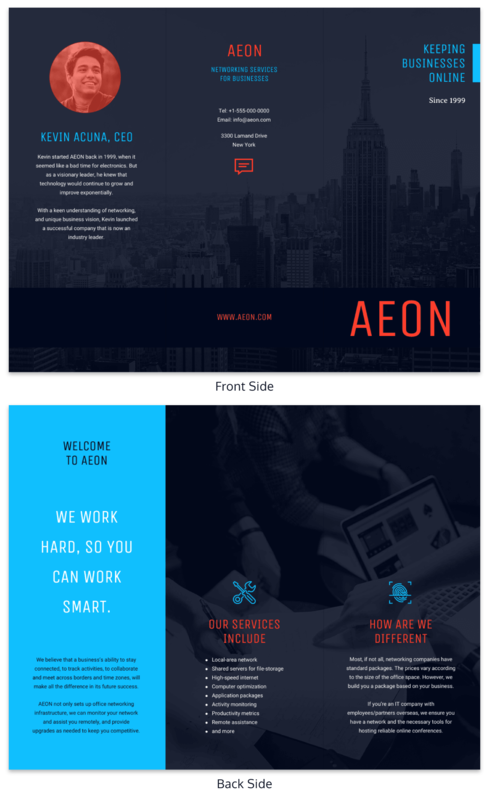 Inconsistency in image style and color can make your brochure design look unprofessional and will distract from the real hero – your product and your copy. 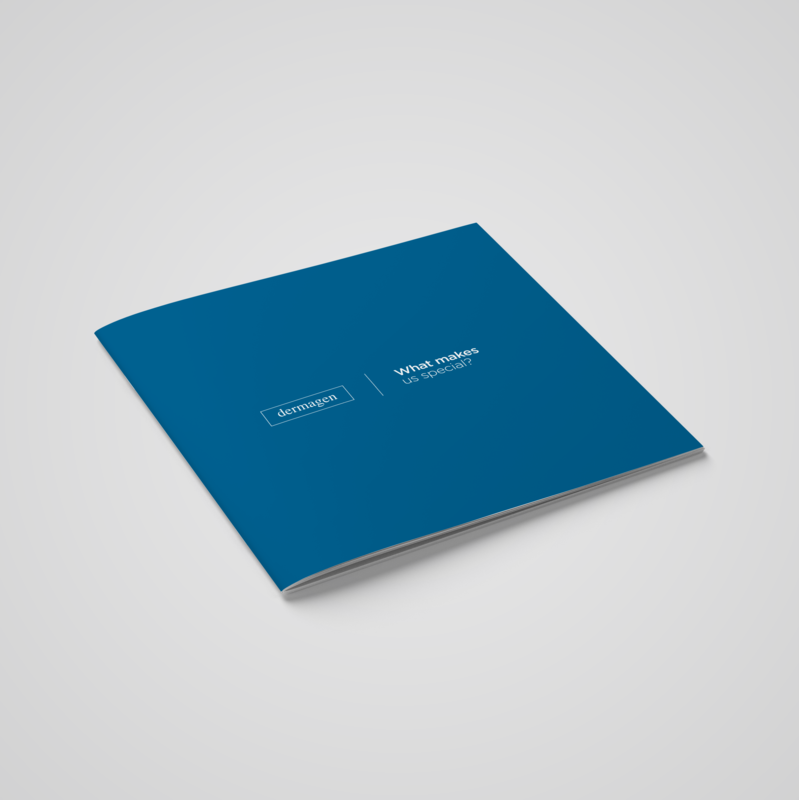 It’s all come down to this–creating your marketing brochure. 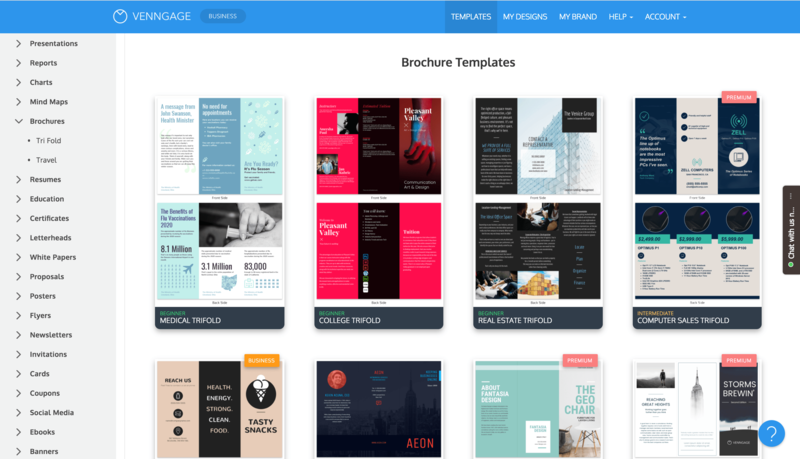 While it might be tempting to pick a template based on style, focusing instead on finding one that fits your content will make your life much easier (and you can change up the fonts and colors at the end). Once you have one that you like, paste in your own copy, and swap out the stock photos for your own visuals. If you’re happy with the design you can call it a day! 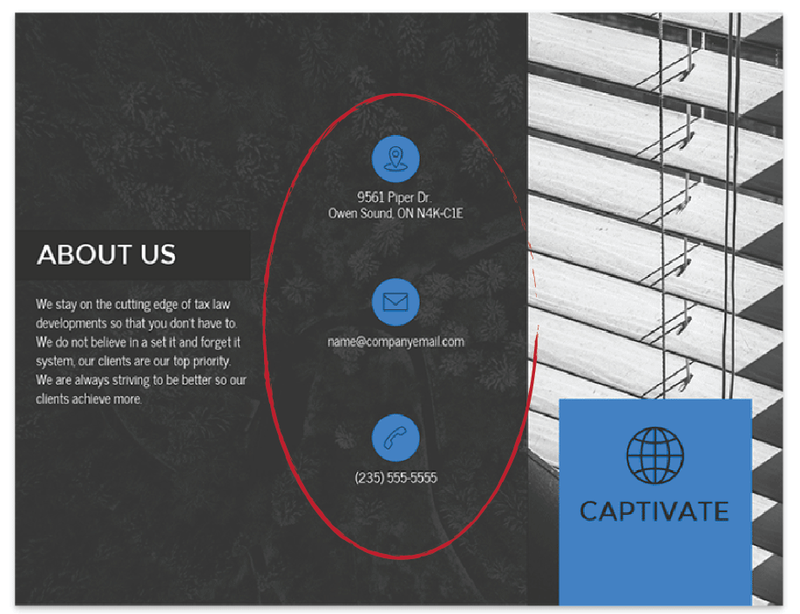 Congratulations, you just made your first brochure. 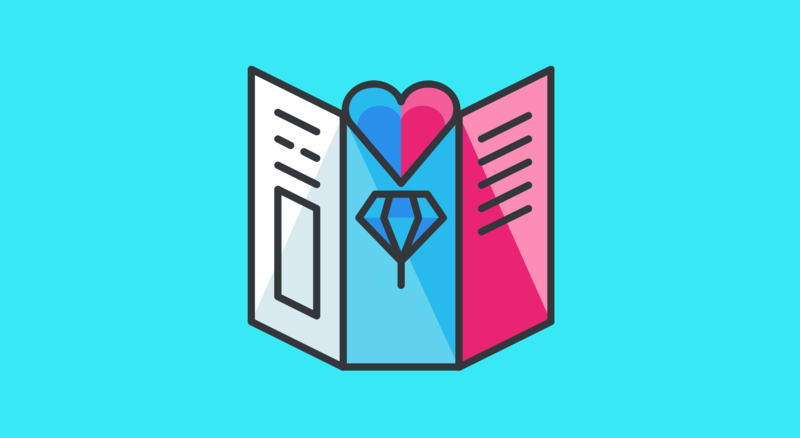 But if your content doesn’t quite fit perfectly, or if you want to make your brochure design a little more personal, there are a few key tactics you can use to ensure you end up with something you can be proud of. 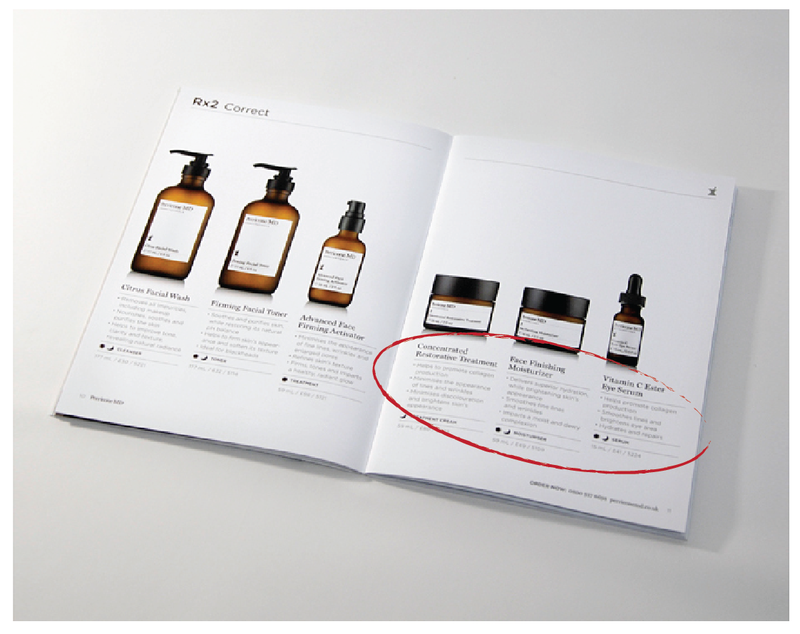 The easiest way to make text look good in a brochure is to center it horizontally within each of the six sections. This keeps it away from the folds of the brochure, giving it some room to breathe! Want something more unique and edgy? 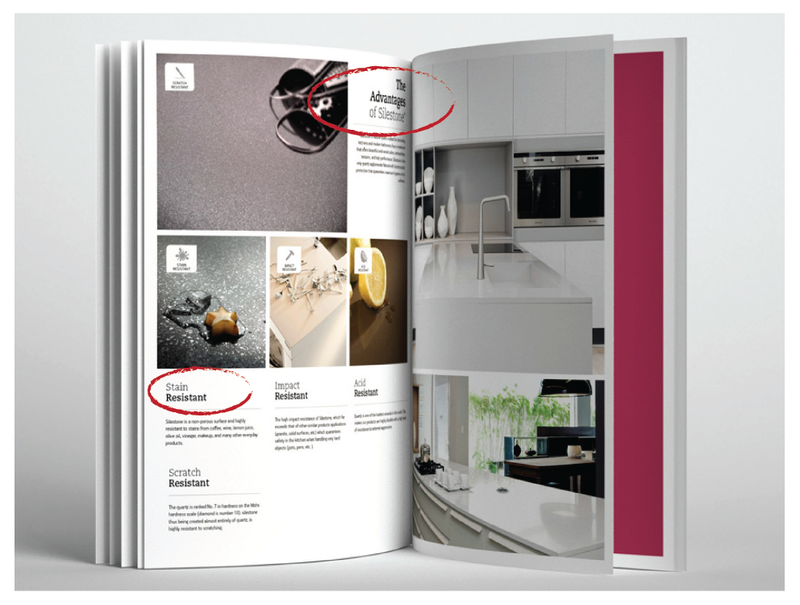 Once you have your text and images in on your page, you might find your brochure design a little lacking the excitement department. 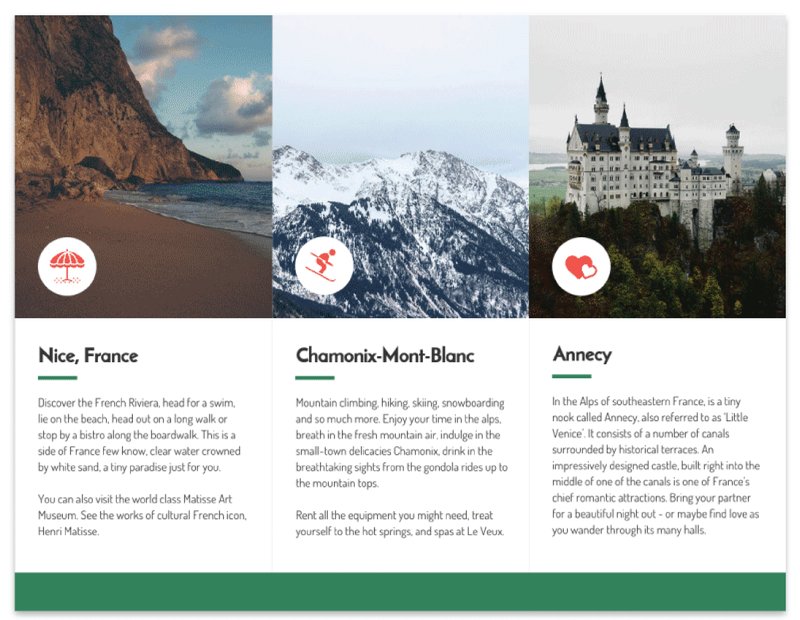 You can inject some visual interest by adding background colors and images. And add texture by adding image overlays on background images. 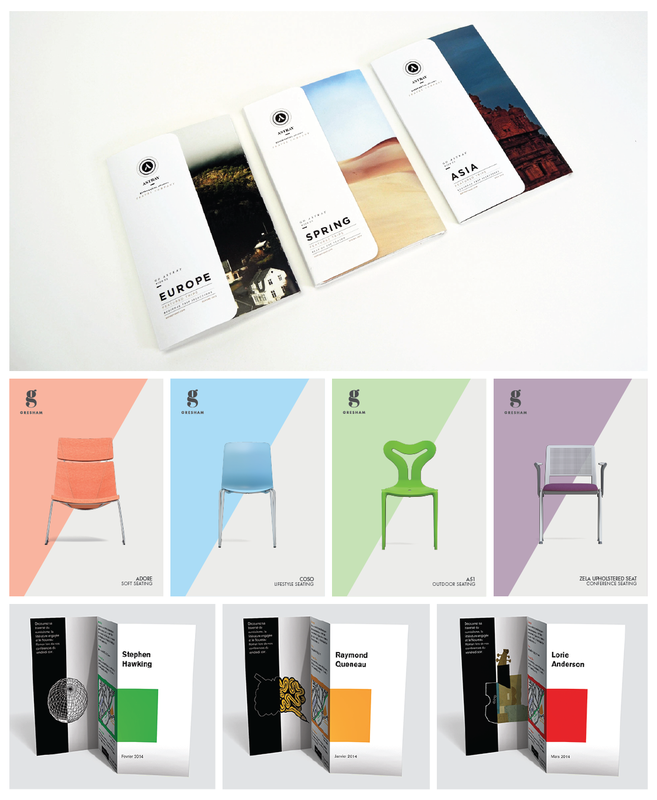 When it comes to brochure color schemes, less is more. 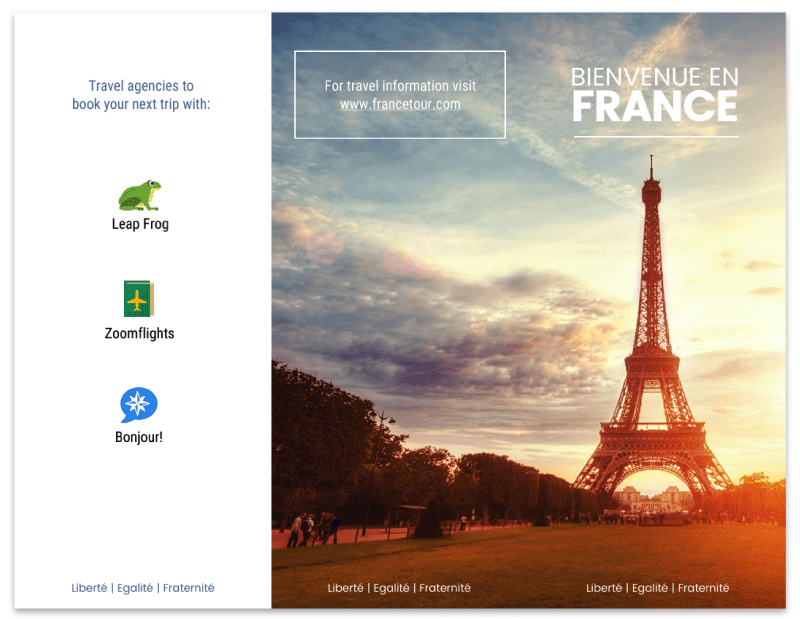 My favourite brochure designs tend feature just one single bold color (occasionally more, but two or three colors at most). 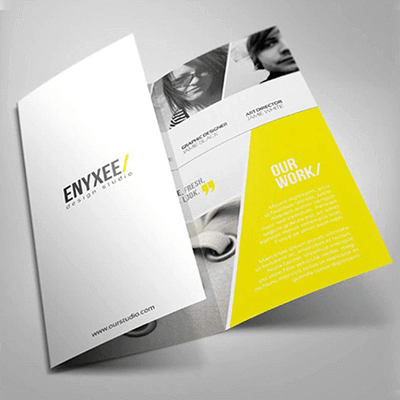 How should you go about picking colors to use for your brochure? Don’t have great brand colors to work with? Don’t have the design chops to pull off a trending color palette? Similarly, it’s easier to pull off a simple, minimalist design than a flashy one, so don’t hesitate to stick with a white background with black or grey text. 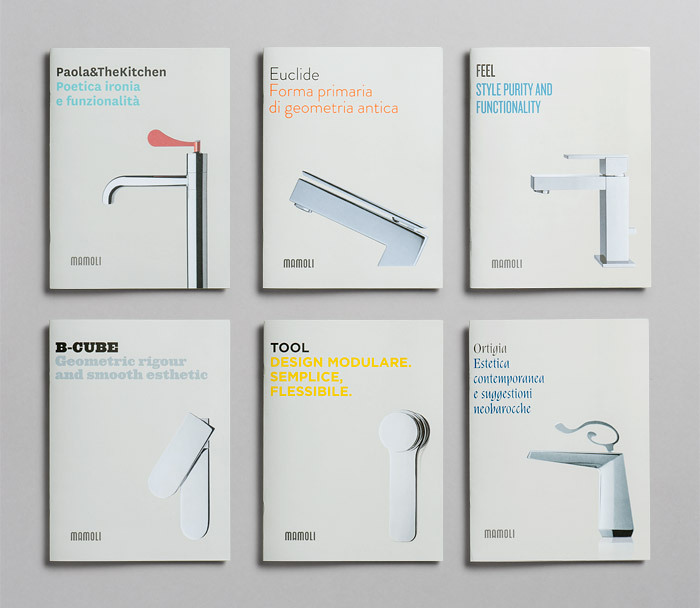 Now that you’ve put all of this work into designing a beautiful brochure, get the most out of your design by creating subtle variations for different products. 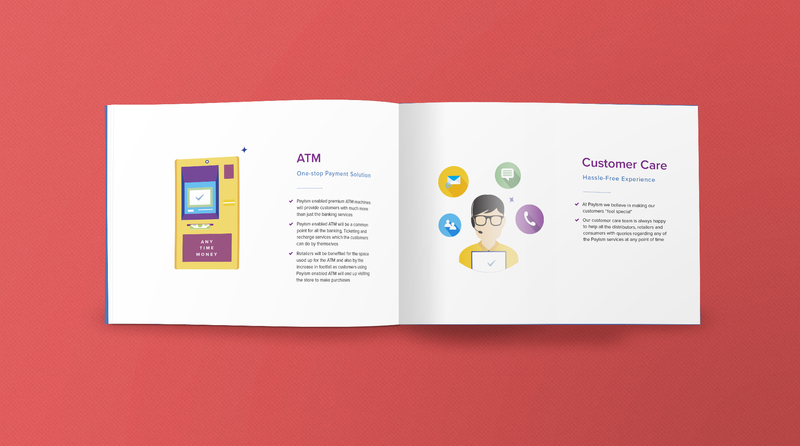 This might seem like a long process, but knowing how to put together an effective marketing brochure is an essential skill for any small business owner or marketer, and our pre-designed brochure templates make it easy! 3. 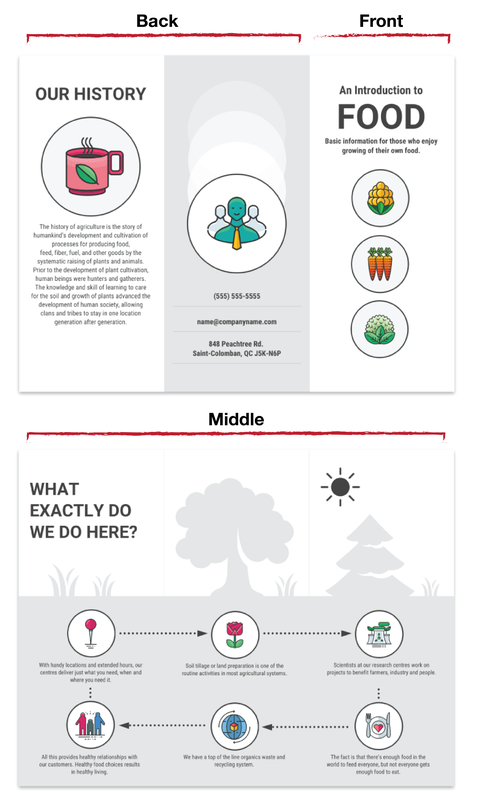 Use images, icons, and illustration to support your messaging.